We worked closely with curators at the London college of fashion to design and fabricate an exhibition about Coco channel and Marion Pike. Pike was a artist whose friendship with Chanel is documented by a variety of paintings, couture clothing and correspondence that the two exchanged between 1967 & 1971 The exhibition highlighted parallels between the creative output of both women, and presented paintings and garments alongside one another. 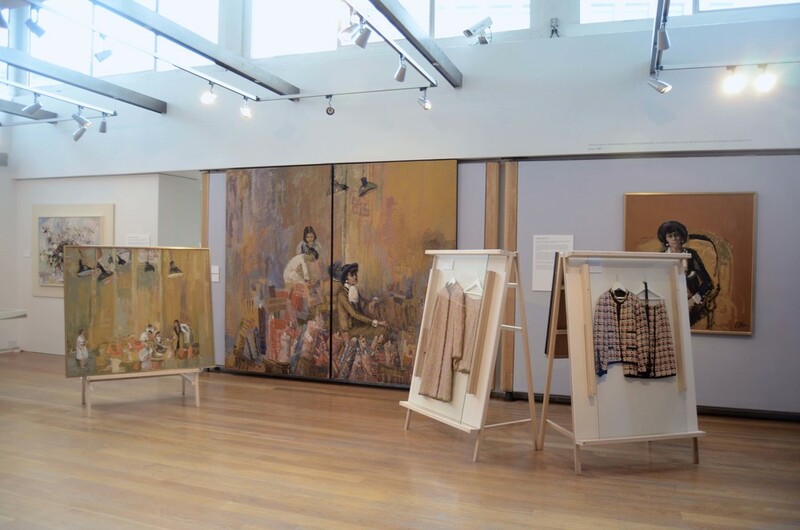 We used square section poplar to make vitrine tables to exhibit correspondence and ephemera , and A frame structures to display painting studies and garments. The exhibition travelled to Milan in Autumn 2013 and will be represented in the US in 2014.